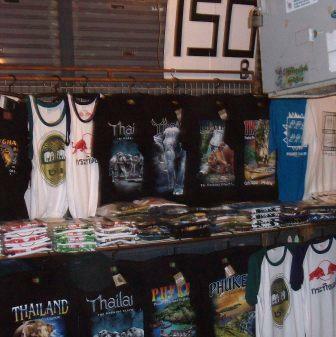 This stall was located on the beach end of Bangla Road each night and at 150 baht a singlet it works out cheaper just to pack light, and buy up when your over there. do you do internet sales for you singlets? Hi, no this option is not available at present time, but they are readily available thru out Phuket.